Montreal dream poppers Young Galaxy have just announced details about their third album. Titled Shapeshifting, their first on Paper Bag Records will be released on February 8, 2011. I remember talking with Steve Ramsey of YG for their last release, Invisible Republic, and he said it would be more spacey, electro, experimental. I can see where he was going. The band elected Dan Lissvik of the Swedish band Studio to produce it, and this guy has worked on artists such as Fever Ray and Bear in Heaven. Invisible Republic was powerful, moving, full of energy. What we hear on the first single of Shapeshifting, “Peripheral Visionaries,” we can see they’ve actually calmed down a bit. It’s got this jazzy feel, as Steve and Catherine McCandless let their vocals float around. I like what’s come of it for the most part. It’s not fast, sweaty or chrome like the electro I imagined when Steve and I discussed it, but it seems that life happened since then and going this way was the right way for them. I’m not 100% sold on the song, nor am I a fan of the group vocals towards the end (I don’t like group vocals in almost any song, actually), but as this is an introduction to a new chapter, it’s cool to see where they’re taking the sound, and it is quite catchy. 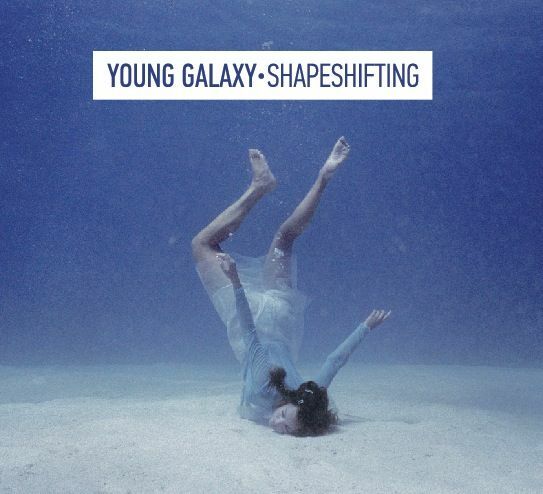 I feel like Young Galaxy is always on the brink of something, but I’m never quite sure what. This entry was posted in Uncategorized and tagged Breaking News, Canadian music, Downloads, Emerging Artists, Free music, mp3, mp3 download, Music, New Releases, News, Review, Single, Stream new music, Upcoming Albums by Jessica Lewis. Bookmark the permalink.